From time to time, it is a good practice to check the fabric for weak patches and spots that come from usual wear and tear over time, which can develop into holes. This will not only mar the beauty of your shade sail, it can render it useless. 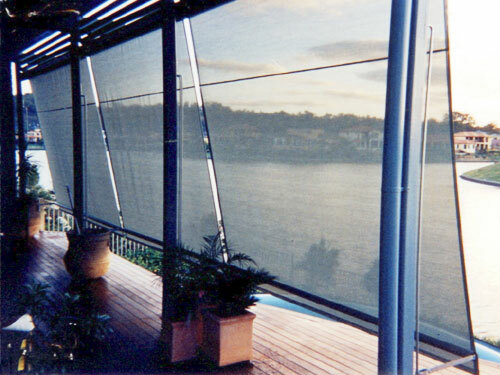 When you start seeing weak patches, contact your Gold Coast shade sails supplier. They can help remedy the problem or perhaps provide replacement, if needed. Aside from checking for weak spots, you should also regularly check the edges of your shade sails. Look for signs of loosening or fraying among the threads, which can be possible wear from the stretching of the fabric. Inform your supplier of this so they can recommend a solution. You should not attempt to fix or sew it as it can lead to more damage to your shade sail. It is also good practice to test the sturdiness of the posts where your shade sails are attached. Check for any signs of wobbling and be sure to make necessary measures to fix or reinforce the posts. If left unchecked, it can potentially impair the shade sail or worse, pose harm on people and destroy nearby structures. If you are using posts made of iron for your shade sails, you also need to check for rusting, including the nuts and bolts as well as other metal connectors. If you notice early signs of rusting, clean the affected area to remove the rust and spray it with anti-rust solution. However, if the post is already badly affected by rust, replace the entire post right away. If you’re from the Gold Coast or Brisbane area and need assistance with your shade sail, feel free to contact Coastwide Shade Sails, we’ll be more than happy to help! 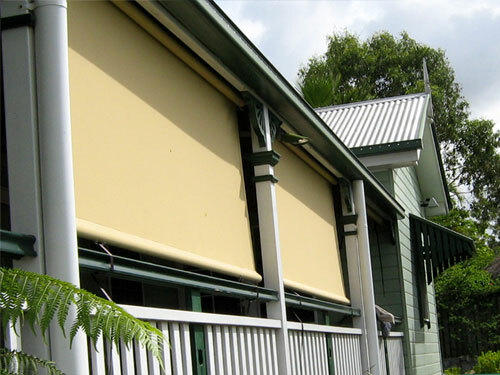 Are you contemplating on getting Gold Coast blinds for your home? Aside from shade sails that add a wonderful finishing touch to your exterior, blinds offer a great way to update your living space without spending a fortune. Before you go shopping for window blinds, it is highly recommended to do your homework to best determine which would work best for you. Form and function are two main considerations when choosing window blinds. They are not only designed to filter out sunlight and provide privacy, blinds can also make or break the overall look of your home. It is important to carefully take into account your existing interior design when choosing your window blinds. While you may like the colour of a particular design, it may end up sticking out like a sore thumb against your interiors. If the colours are not properly coordinated, it will may make your house look disorganised and busy. Try to do colour blocking, keeping in mind that the blinds should blend in seamlessly to your current home décor. Quality should be a main consideration when choosing window blinds. As it everything else, quality dictate the longevity of your blinds. It’s a great investment for your home that you can enjoy for many years to come. A lot of people often think that the installation of window blinds is relatively easy that they can just DIY. If you don’t have the right tools and experience, it’s best to commission expert installers like Coastwide Shade Sails. Otherwise, you may run the risk of doing inadvertent damage. If you are planning a home makeover, it is best to purchase the blinds and curtains first before you paint the house. This will give you more freedom to choose the blinds and curtains and select the paint colour to complement your choices. 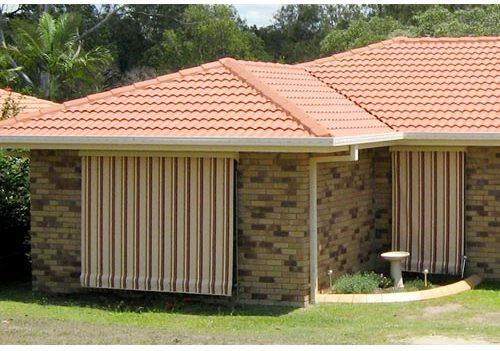 If you are looking for a great alternative to verandas and pergolas, you should consider shade sail Gold Coast which is also known to provide ample protection against the sun. It offers an affordable option for people who want to enjoy their outdoor spaces and at the same time add a nice design element to the house exterior. 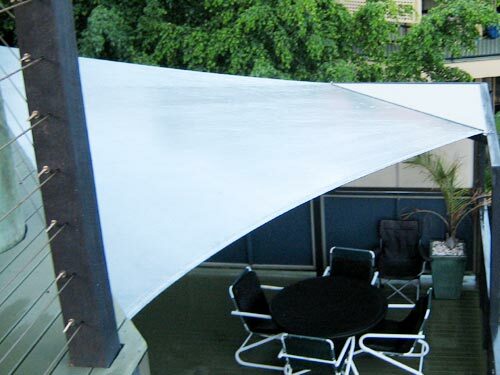 Wherever you are in Australia, you will find that there is one regulation pertaining to shade sails that stays the same – permeability. If you want to skip the process of acquiring a permit, you need to choose a shade sail that is made of permeable material. If you are unsure, you may consider checking with your local Council. While there are certain regions that do not require a building permit in the installation of shade sails, there is a set of criteria that needs to be taken into account. Among the common ones is the stipulation of the size that should not exceed 20 metres. When shopping, check with your salesperson from Coastwide Shade Sails for suitable options for residential or commercial applications, whichever apply. Normally, you will not be required a permit if the height is under 3 metres. However, there are some councils that may require one regardless of height so it’s best to ask first. There are certain localities that are stricter than others, so it’s always best to check. Securing a permit will mean shelling out cash, which may depend on the estimated value of the building work to be done. Normally, it will be around $45 to $90. There is also the expense that comes with acquiring a structural engineer design, specifically for commercial applications. It is best to seek professional advice in your local area. In general, shade sails are specifically designed with highly durable materials and excellent construction. However, in order to extend the life of your Gold Coast shade sails, regular maintenance is also required. 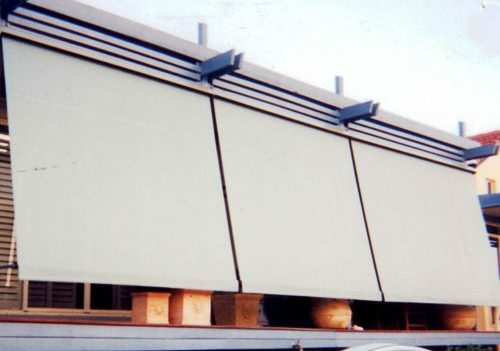 This will ensure the shade sails will perform its function, mainly in providing protection against the harmful UV rays and providing a reliable shade all year round. Of course, you will also want to preserve its beauty in the coming years. Shade sails are available in different sizes. There are some varieties that are small enough that you can easily install on your own without professional help. 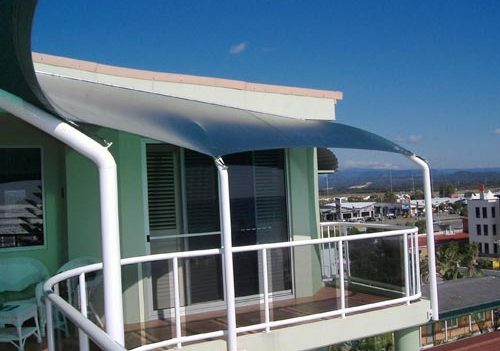 However, it is important to keep in mind that professional Gold Coast shade sail installers are available to ensure that it is installed securely to avoid any mishaps. Improper installation of your shade sail can lead to more problems and potentially unnecessary expenses that may arise in damaged material and compromised safety of your family. Since shade sails are installed outdoors, it can be exposed to a lot of elements that may cause stains, such as bird droppings and wet leaves, just to mention a few. Regularly cleaning your shade sail will prevent stains from seeping into the fabric and threads, as well as discourage the growth of mildew and mould. When it comes to cleaning your shade sail, never use a high-pressure water. Simply use a brush with soft bristles to remove the dirt and other debris. While shade sails are generally constructed with highly durable materials, it is advisable not to use strong detergents for cleaning. This is because these detergents contain harsh chemicals such as halogens and Sulphur. You should also avoid using chlorine treated water. Instead, use mild detergents or dishwashing liquid as it does the job in removing stains without damaging the shade sail fabric. Most residences take very good care of their yards by putting umbrellas Gold Coast. The outside perimeter of the property showcases as much—or more—character than the interior of the building. It is the bearer of the first impression, the ‘best foot forward’, the elegant curtsy before the first dance. Quite poetic, but judging by the obvious amount of attention property owners give to their outside perimeters—with their manicured lawns, stylishly tiled landings, and other outdoor accessories—outdoor spaces deserve at least the same amount of scrutiny as indoor spaces. But whether you’re an owner of a private residence or a place of business, the glaring problem of outdoor areas seems to be: that it’s hard to utilize the available spaces efficiently when you are exposed to the harsh tendencies of nature. Sun, rain, and wind are the most common culprits of under-utilized yards; sentencing otherwise fun functions like parties, family days, and friendly gatherings—which are ideally outdoor activities, by the way—to the less-suited, less-natural, stifling indoors. For a place like Brisbane, where the weather is more often nice than not, this is most certainly a deal-breaker. Fortunately, there is a low-cost yet fitting solution to this problem. Outdoor umbrellas like the ones provided by Coastwide Shade Sails are perfect for taking back the functionality and fun of any outdoor space. Composed of sturdy materials from pole to fabric, these trusty tropical shades will not only provide the much-needed respite from the elements but will also accentuate the style of any yard. As expected, multiple fabric designs are readily available for use. Versatility is simply a non-issue, as these swinging umbrellas are designed to be raised, lowered, and swung 360 degrees, depending on one’s changing preference, or as the weather calls for it. As for their robustness against the weather, these shade umbrellas can withstand winds of up to 80 kilometers per hour. You can never go wrong with these things; installing shade umbrellas on your outdoor spaces will grant you the maximization you’ve always wanted for your property. The metropolitan vibe of the populous state of Gold Coast may not exactly conjure images of nature activities and “fun in the sun”, but as any east coast sightseer would readily attest, this quintessential traveling hub offers its own share of surprises. A concrete jungle bustling with life—Brisbane is, after all, the third most populated city in the country— Brisbane’s daily corporate commotion belies the fact that it is surrounded by natural beauty. Residents and savvy folk who are all too familiar with this are also all too keen on taking advantage. Thus, there is fun to be had in the sun in Brisbane: from strolling through the City Botanic Gardens, to interacting with the Koalas in the Koala Sanctuary, to witnessing the breathtaking view of the cityscape atop Mt. Coot-tha. There is an uplifting, almost tropical, aesthetic to these renowned outdoor spots. Outdoor umbrellas made of vinyl or superior fabrics often accompany the scenery, but take nothing away from their beauty. That’s because these outdoor umbrellas come in a dazzling array of tasteful colours and patterns. Yes, in most of the outdoor fun spots of the city—the leisure areas, the boardwalks like in South Bank, the culture centres, and surrounding areas are dotted with these welcome respites from the sun. More often than not, the weather’s always agreeable in Brisbane; but there is such a thing as too much sun! This Gold Coast ‘umbrella aesthetic’ is hardly coincidental. But much of it was made possible by the availability of versatile outdoor umbrellas that didn’t compromise style for functionality or vice versa. Local manufacturers like Coastwide Shade Sails have been providing local businesses and homes with these umbrellas for over twenty years. The fact that these umbrellas have pretty much become a major component to the city’s half-and-half identity of metropolis and outdoor-adventure destination is a testament to their consistent quality. Oh, and it helps that they’re pretty darn useful and nice to look at when employed at a local al fresco joint near the boardwalk.